Jeff Pishney is the Executive Director of Love Modesto which facilitates community wide volunteerism and neighborhood, school and kids’ initiatives. 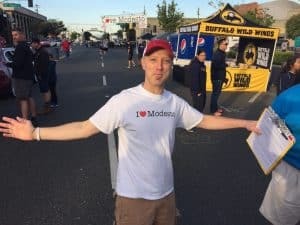 Love Modesto started in 2007 at Big Valley Grace Community Church with two questions: 1) Why is our city on lists of the “worst cities in America”? 2) If our churches were to suddenly disappear from the Modesto area, would anyone even care or notice? They did not know the answers to these questions, but they knew they were called to love Modesto as Jesus would. With a lot of dreaming and planning came the first Love Modesto on March 7, 2009. They were hoping for 100 people and more than 1,200 people showed up to love Modesto in practical ways. They have done these volunteer days for nine years and have helped more than 60 other cities. Over 111,000 people have been involved … young, old, abled, disabled; people from a church or no church at all. Around 388,500 volunteer hours have been donated – this is over $9.4 million dollars in service (independentsector.org) that has been given to communities. I think everything we’ve narrowed our focus in on now with: Community Wide Volunteerism, Ongoing Volunteerism, Leadership Collaboration, Neighborhoods, Schools, Kids (foster care/adoption). 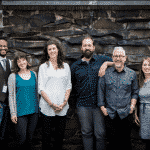 Chris Gough mobilizes the local Church in Seattle, WA through networks to lead the way in serving their city. 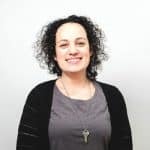 Lauren Corso believes pastors who are friends are a force for good in New Haven, CT.
Chris Lambert takes on massive community development projects each year in Detroit, but prioritizes the people over the projects. 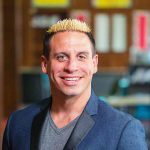 Check out this article I found at City Gospel Movement's website https://citygospelmovements.org/community-stories/leaders/jeff-pishney/. Jeff Pishney’s hometown was voted “One of the worst cities in America.” He founded Love Our Cities to change that.